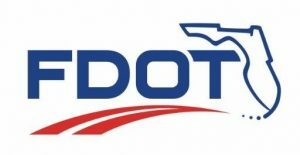 As part of an effort to improve lighting and signage at several interchanges along Interstate 95 (I-95), the Florida Department of Transportation (FDOT) has scheduled several ramp closures at the I-95 interchanges with U.S. 1 (Exit 273), Old Dixie Highway (Exit 278), State Road (S.R.) 100 (Exit 284), and Palm Coast Parkway (Exit 289) during the next two weeks. Only one ramp will be closed at a time. The closures are needed to allow crews to replace large overhead signs. Tuesday, April 16, 10 p.m. – 6 a.m., the northbound I-95 off ramp to U.S. 1 (Exit 273) will be closed. Traffic will be directed to exit onto westbound Old Dixie Highway (Exit 278) to return to U.S. 1 using southbound I-95. Wednesday, April 17, 10 p.m. – 6 a.m., the northbound I-95 off ramp to S.R. 100 (Exit 284) will be closed. Traffic will be directed to exit onto westbound Palm Coast Parkway (Exit 289) and take southbound I-95 back to S.R. 100. Thursday, April 18, 10 p.m. – 6 a.m., the northbound I-95 off ramp to Palm Coast Parkway (Exit 289) will be closed. Traffic will be directed to exit onto westbound Matanzas Woods Parkway (Exit 293) and take southbound I-95 back to Palm Coast Parkway. Tuesday, April 23, 10 p.m. – 6 a.m., the southbound I-95 off ramp to S.R. 100 (Exit 284) will be closed. Traffic will be directed to exit onto Old Dixie Highway (Exit 278) and take northbound I-95 back to S.R. 100. Wednesday, April 24, 10 p.m. – 6 a.m., the southbound I-95 off ramp to Old Dixie Highway (Exit 278) will be closed. Traffic will be directed to exit onto U.S. 1 (Exit 273) and use northbound I-95 to return to Old Dixie Highway. Sunday, April 28, 10 p.m. – 6 a.m., the southbound I-95 off ramp to U.S. 1 (Exit 273) will be closed. Traffic will be directed to exit onto S.R. 40 (Exit 268) and return to U.S. 1 using northbound I-95. Please note schedules may change due to weather or other circumstances. Electronic message boards and other signage will help to direct motorists. Updates are available on the FDOT Central Florida website, cflroads.com. Media inquiries should be directed to the FDOT Communications Office at d5-pio@dot.state.fl.us, or by phone at 386-943-5479.